An orthodontist can help straighten or move teeth, allowing us to improve the appearance of your teeth and how they work. By doing so, orthodontics can help to look after the long-term health of your teeth, gums and jaw. On average, the most common time for orthodontic treatment is during your teenage years, especially between the age of 11-15. The reason being is that by age 11, the vast majority of people will already have most of their permanent teeth. It's also easier to detect possible issues such as crooked teeth, bad bites or potential gaps at this young age. Another benefit of teenage orthodontics is that your body is growing at a rapid pace, meaning an orthodontist has a better chance of taking advantage of these growth spurts in order to help improve your overall bite. Your increased metabolism during this age also means that treatment time is far shorter than what it is as an adult as well as decreasing any sensation of discomfort. 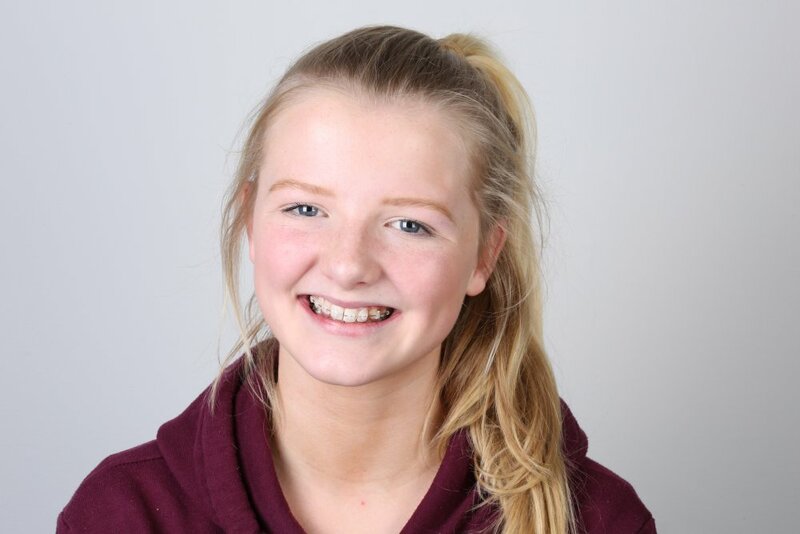 We have a wide range of orthodontic treatment available to your teenager - including traditional braces, see-through braces and Invisalign. Preparation of teeth for future restorative care. We know that teenage years can be an expensive time for most parents so we offer a 10% discount for your second child in treatment and 15% for your third child! I just can’t stop looking at them in the mirror! 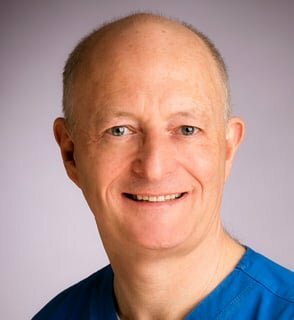 Dr. Griffin's passion for dentistry and to further better himself, along with his active involvement in the vast world of dentistry has helped establish Seapoint Clinic as the European leader in patient care. 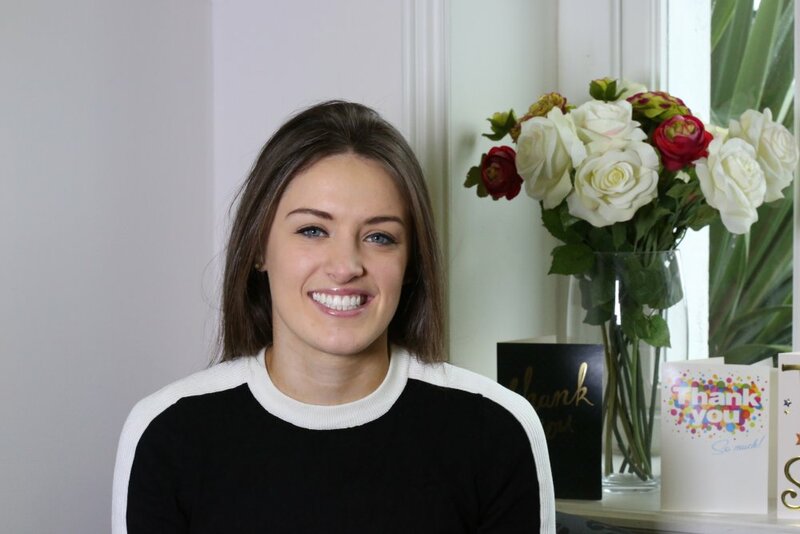 Dr. Griffin is among Ireland's top orthodontists, allowing us to provide the latest in modern Invisalign treatment, which uses a series of clear aligners to carefully move your teeth into the correct position. Read more about Dr Griffin here. Orthodontics focuses on the correction of teeth and jaws that are positioned improperly. Crooked teeth and teeth that do not fit together correctly are at higher risk of being lost early due to tooth decay, increased pressure on the jaw and periodontal disease. The benefits of orthodontic treatment mean that teeth are more likely to last a lifetime and make for a far healthier mouth. Invisalign uses a set of clear, custom-made aligners which enable you to brush and eat as normal throughout your treatment. On average, treatment takes about a year to complete but can go faster where fewer movements are required. It's the ideal treatment for people who may have previously worn braces as a child and suffered some form of orthodontic relapse since. With Invisalign, you can re-position your teeth into their ideal area without anyone even knowing you're having treatment. Invisalign may not be suitable for everyone, in which case we recommend 6 Month Braces which are also extremely popular. The convenience and ease of use of the invisible braces have made it the choice for hundreds of thousands of people and teenagers alike. Being able to take the aligners out so you can eat ANY foods and you can brush your teeth as normal is a huge plus. But the key difference is being able to straighten your teeth without people knowing you are wearing braces. 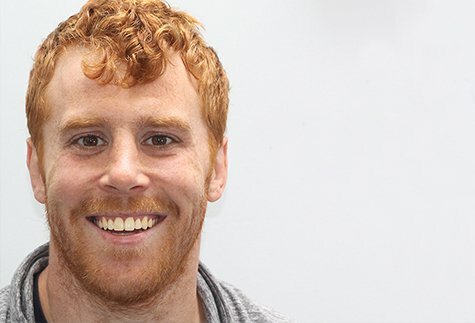 I'm thrilled with how amazing my teeth look and my Invisalign treatment only took 4 months. Is there an age requirement for orthodontic treatment? An ideal time for orthodontic treatment is for anyone above the age of 11, although braces can be placed any time after permanent teeth have fully grown in. It was the best decision I've ever made. I just can't believe it took me til this stage of my life to finally straighten my teeth. The answer is yes! Teeth can shift at any age. Maybe due to an injury, a health condition, or simply natural growth. Perhaps you had straight teeth in the past, but are now facing a crooked and overcrowded smile. Also, orthodontists now tell people to wear retainers much longer than they recommended in previous decades. 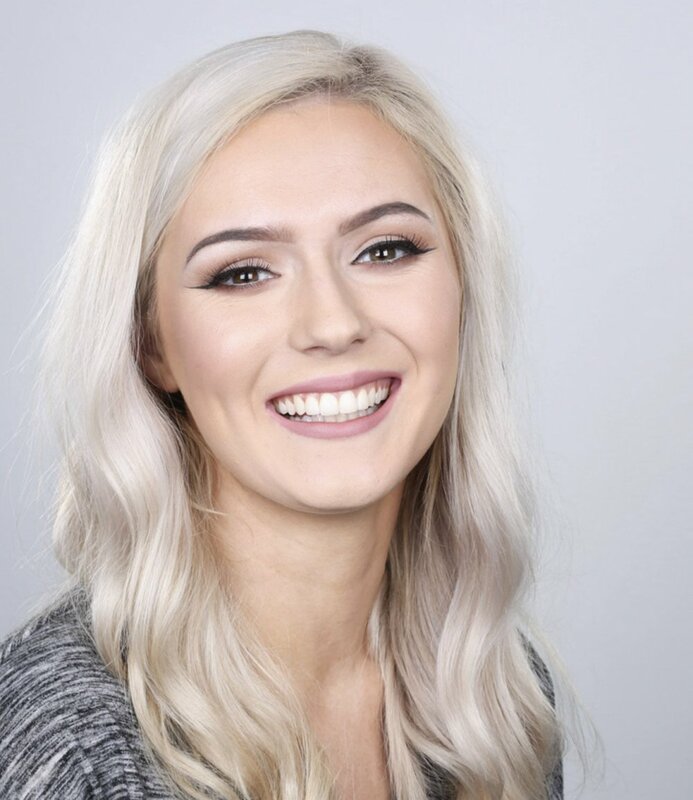 Here at Seapoint Clinic, we provide our patients with state-of-the-art technology and treatment, making a great and comfortable first orthodontic appointment. 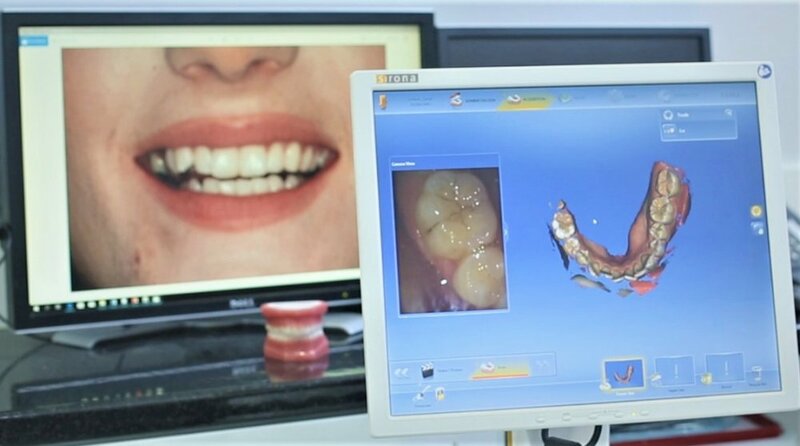 Our dentists use a specialized iTero scanner which allows a digital impression and a 3D image of your tooth surfaces to be taken. 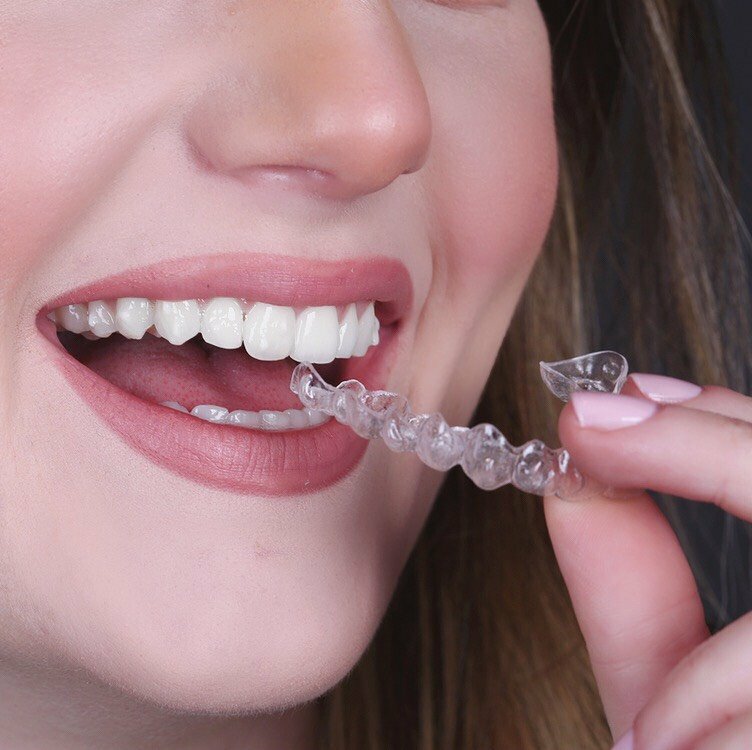 Not only is it more comfortable, but taking a digital scan for your Invisalign aligners is quick and pain free, which allows you to spend less time in the dentist’s chair and more time enjoying your new smile! As one of the few dental clinics in the country to provide in-house Cerec technology to our patients, we find it incredible. Using Cerec, we can give you the most natural looking crowns and onlays in just one simple visit. Our patients are amazed at how natural and smooth their Cerec crowns look and feel. Cerec can be used to improve the strength of a tooth that has weakened due to large fillings or cavities. Cerec restorations are life-like and very strong overall and give a beautiful, natural result.